Winter sports travel insurance – Don’t hit the slopes without it! Winter sports travel insurance is not usually at the front of your mind when arranging your ski trip. We’ve all done it, there’s always something that travellers manage to forget when going for their holidays overseas. Whether it’s those pesky travel adapters or more important things like passports. We’ve all been in that mad panic at the airport or after having arrived at our holiday destination. Whatever you forget on or before your travels this winter, do not let it be winter sports travel insurance. Unbelievable statistics have been revealed that show large numbers of UK skiers take to the slopes without adequate insurance cover. The statistics come from the Foreign and Commonwealth Office and revealed that almost a third (31%) of UK skiers admit to not taking out travel insurance for their winter sports holidays. What is more worrying to us is how many people thought they were insured, but didn’t actually have the appropriate level of cover. Research has identified that 61% of those surveyed were unaware that many travel insurance policies do not cover accidents that occur off-piste, and only 16% said that they always read the small print. Do you know what your winter sports insurance covers? 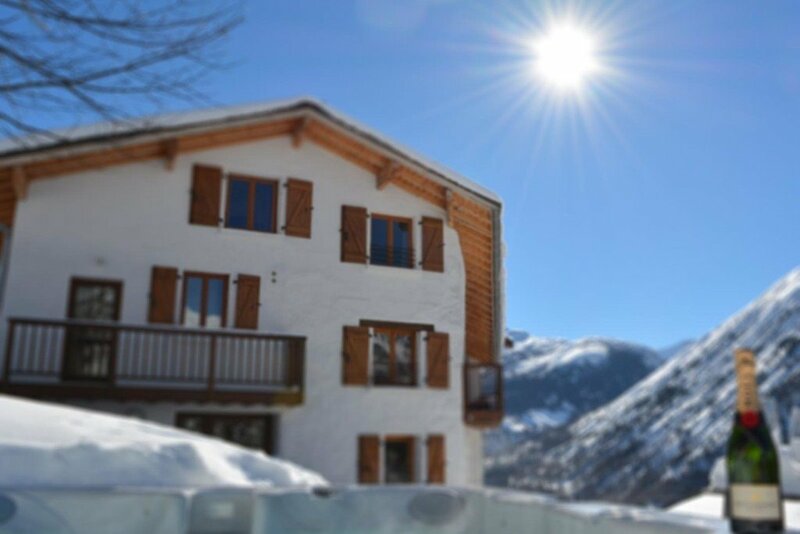 How much will cost if you’re unfortunate enough to break your arm on the slopes in France? Will you EHIC card help if you have an accident? We’ll try to explain here. Do I need ski travel insurance if I have my EHIC? The survey also highlights the confusion over the European Health Insurance Cards (EHIC). The report says that only 53% of those surveyed understand what cover an EHIC provides. Many medical costs in Europe may be covered by the free EHIC, but it is not a suitable substitute for travel insurance on a winter sports holiday. The EHIC will not pay to get you down off the mountain, nor will it pay for all transport costs and medical treatment you may need if injured. And of course it won’t cover you for lost baggage, cancellation or having your holiday cut short. The EHIC card is completely free if you apply through ehic.org.uk, the government’s own dedicated website. Alternatively, you can call the NHS on 0845 606 2030, a dedicated EHIC phone line. Do not forget to make sure your EHIC hasn’t expired. You need to renew it every five years. Ok, so what travel insurance do I need? Get your travel insurance from a specialist provider; don’t just choose the cheapest – and read the policy wording carefully before you buy. You can buy travel insurance at any time before your trip ­– but we recommend you buy as soon as you book your trip, so you are covered if you have to cancel. Also, do make sure that the sum insured under the cancellation section is sufficient to cover your flight, accommodation and other costs. If you are unsure about the sports and activities you may participate in during your trip, insure for the highest level of activity you might choose. Emergency medical and repatriation costs can mount up: don’t travel without adequate insurance cover – especially for skiing, other sporting trips and when working or volunteering overseas. Policies differ, so make sure to check the policy if you have any pre-existing medical conditions. Some policies exclude such conditions, some may include, or may include them for an additional premium. Some may void the policy altogether if the insurance provider is not informed beforehand. Travel insurance does not always cover personal effects, so if you want to safeguard your valuables ensure you get a policy that does cover them. Check that your travel insurance includes personal liability, which should not exclude claims made by a travelling companion ­– many do. Plus, if you are leading a party of travellers, you can be held responsible for damage your friends cause – be sure you are covered! Carry a copy of your travel insurance papers with you in case of emergency; leave another set at home, or with a relative. Always heed safety advice. You may jeopardise your insurance if you put yourself in danger. Know your limits – and your insurance limits! Don’t assume that more expensive means more extensive cover. Check the small print starting with the “summary of cover”. If you are unsure about anything call and ask the insurer. Make sure your chosen policy will cover you if you plan on going “off piste”. Taking part in more extreme activities such as tobogganing, ice skating or heli-sking can also attract a premium. Loss, theft or damage cover for expensive sports kit is usually and optional extra. Check the age limits – many standard travel policies charge more to insure people over 65. In some cases they do not insure them at all. If you have any medical conditions, tell the insurer. If you fail to declare a pre-existing condition and later make a related claim, your policy will not cover you. In this instance you will have to foot the bill yourself. Specialist winter sports insurers will cover skiers and snowboarders up to age 100 and offer pre-existing medical condition cover. We work with MPI Brokers as they are well known for their expertise and long history in the field of ski/snowboard and winter travel insurance policies, and who offer all of the things we look for in a ski travel insurance policy. Check them out before you set off for your next trip to the mountains.